Installing a Velo Orange Threadless Bottom Bracket from Velo Orange on Vimeo. Mark installs one of our threadless bottom brackets on a frame. Directed by Igor. I'm a bit of a light nerd. There I said it and I feel better. 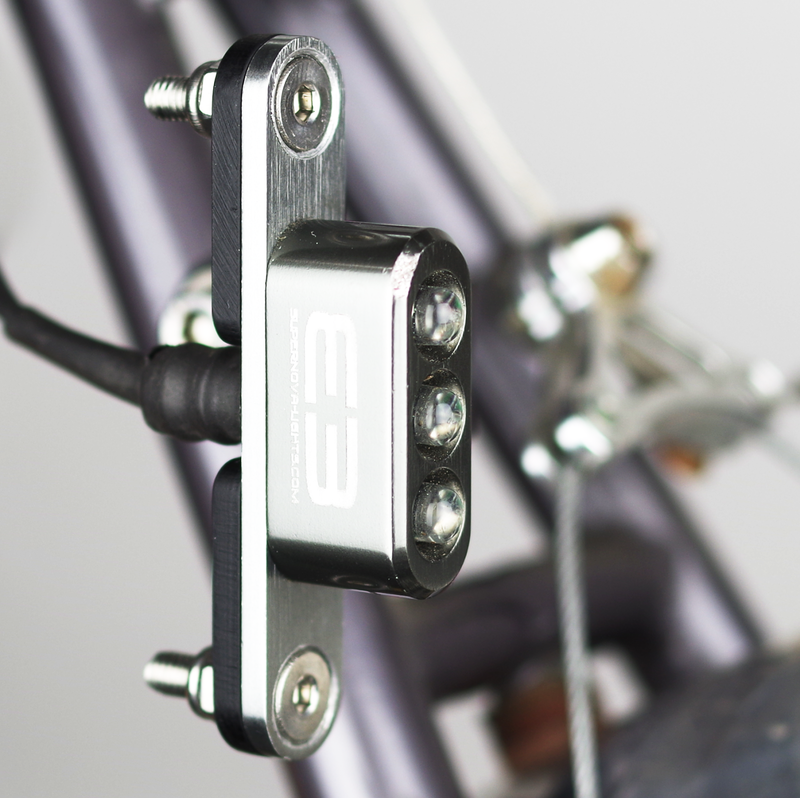 I'm always looking at new lights, ways to attach lights and such and this brought me to our newest product - the E3 tail light bracket. These are made in Portland, OR, laser cut from 5052 aluminum and then anodized black. Don't panic, silver is in the works. We have two models, a large one that mounts behind a caliper brake, and a smaller one that mounts on our rear racks as well as anywhere that has a threaded braze-on (think seatstays and dropouts). 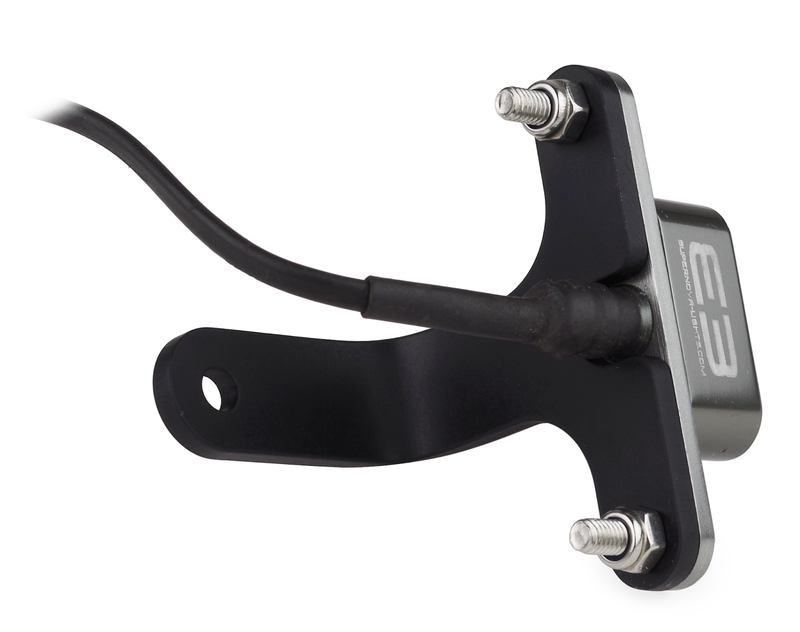 Both models are designed to work with the super popular E3 taillight using a clever notch. This allows the light to be adjusted and repositioned after installation without having to re-wire your whole dynamo system. 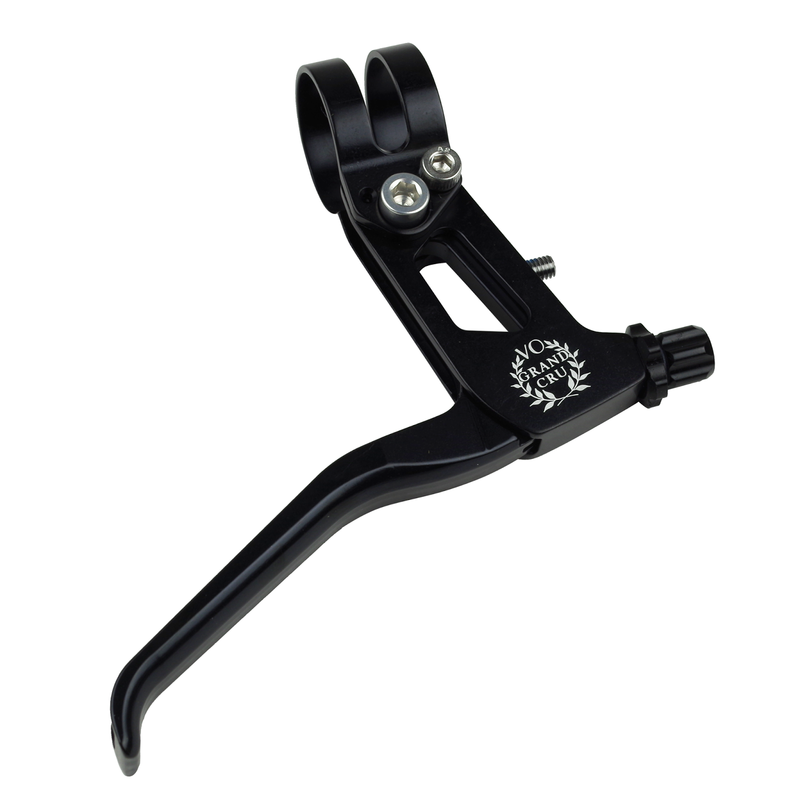 The large bracket works off a seat stay bridge behind the caliper (6mm hole) if you have no rear rack. 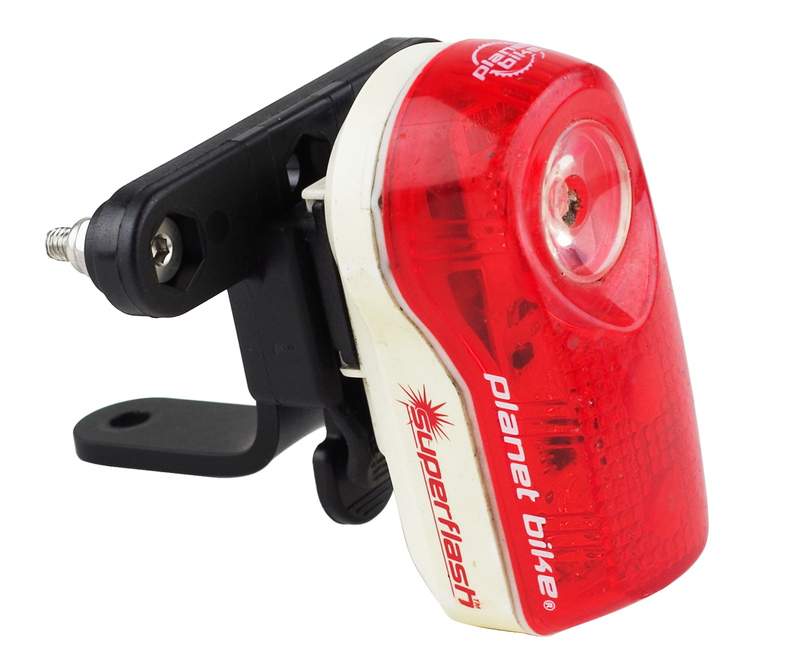 This would be a good choice if you are running a saddle bag, but want to have a secure mounting point up high for your tail light. We should call this the Roberto. 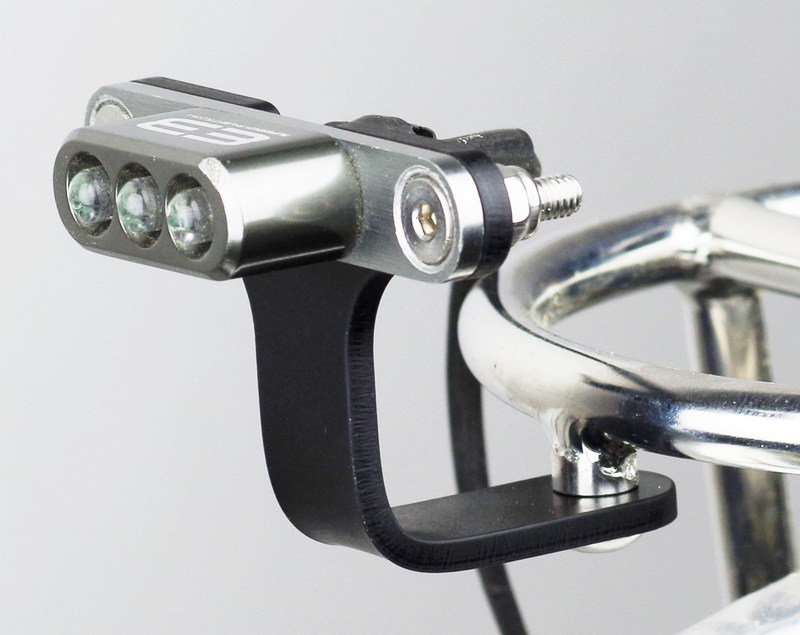 In addition to accepting the E3 tail light, they're also compatible with light mounts that use a 50mm center to center spacing for those who wish to forego dynamo setups. Priced at $15.50 for the large and $12.50 for the smaller one. Weights are 28g and 12g. Large measures 15cm long x 6cm wide, small measures 4cm long x 6cm wide. 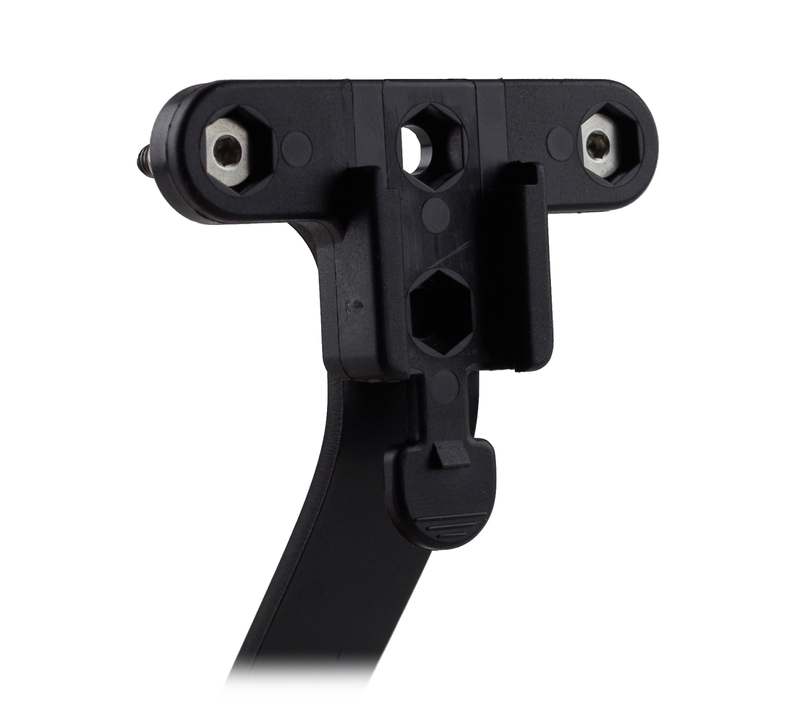 Both mounts use 4mm holes for light attachment. This morning we received a shipment of frames, racks, handlebars, and miscellanea. If you signed up for the "let me know when this item is back in stock" notification, you should check your email. Thanks for your patience. 47cm and 49cm - These are the new 26"-wheeled version of the Campeur frameset. Adrian has been riding the prototype for a while now and loves it. Check out her GAP/C&O trip for photos and details. 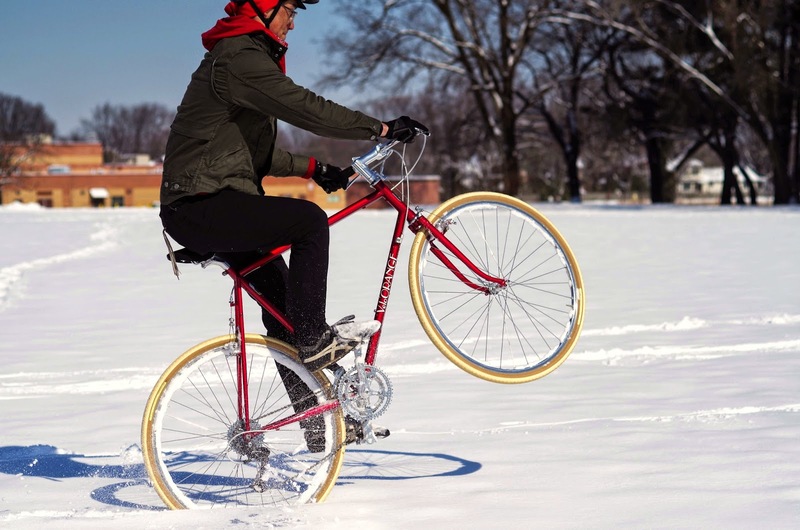 In addition to frames, Porteur Racks and Dajia Shallow Drop Handlebars are back in stock. We also got some new Panaracer 650b 42mm folding bead tires. They have the classic Pasela tread. Keep an eye out for those on the New Products page. Our staff has very diverse riding styles which lead to an interesting assortment of favorite things. Scott , who wrote the first "favorite things" post has a long history of touring, randonneuring, and sleeping short hours at 7-11s while on brevets. By the way, he brought in a few stellar photos of him back in the day touring on a Rocky Mountain Cirrus and sporting a handlebar moustache. I might post them later, if you're interested. 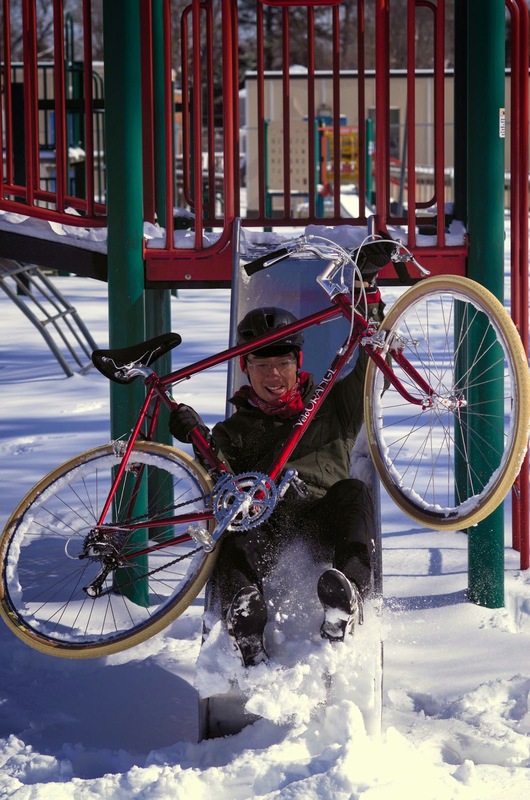 Clint does mostly city riding and shreds cyclocross on the same trails I use my 2.4" tire'd upcoming frame. 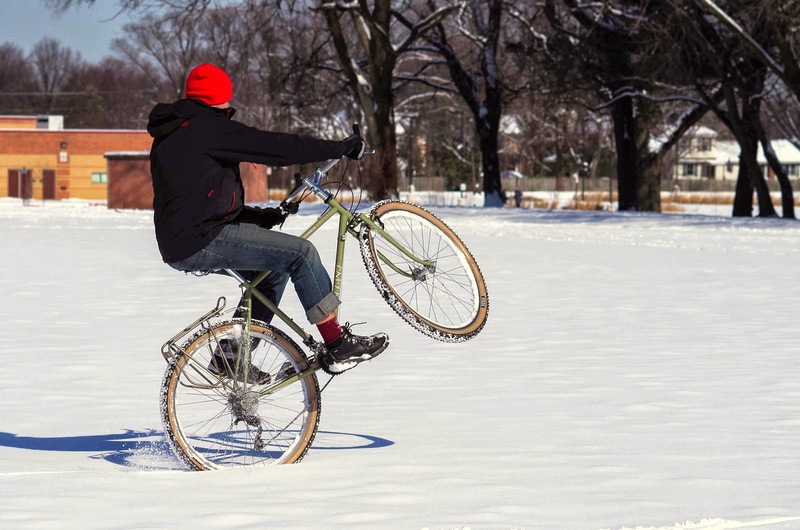 As our series of favorite things continues, the rest of our staff will submit their lists. It's tough to put my favorite things into a small list when we have several hundred products, but here goes! First one is my Campeur frameset. This is my favorite bike I have owned. Touring, commuting, day-long rides, grocery shopping, and light trail duty. Its current setup is simple, effective, modern with obvious classic influences, and utilitarian. As I've heard it called before, "VO'd out". RAID Rims are my next favorite. They're strong, double eyeleted, lightweight, and probably the most versatile rim I've every used. 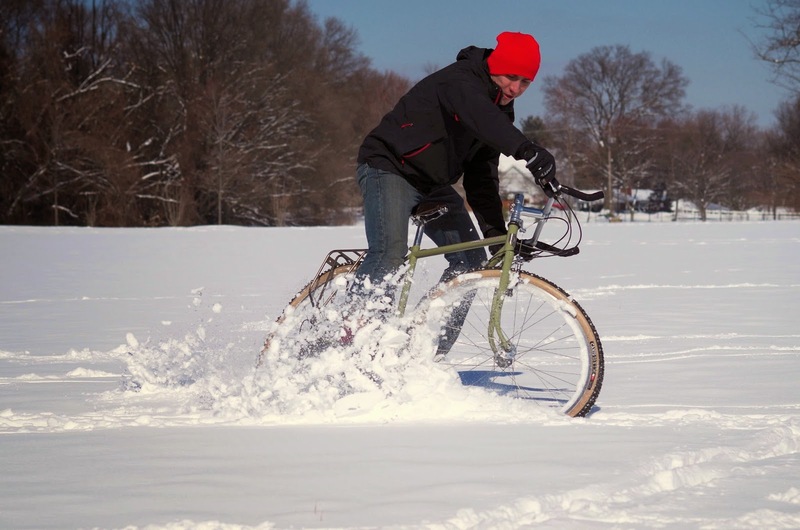 28mm - 38mm tires fit great. Check out a previous post on rims with more pictures and specifications. 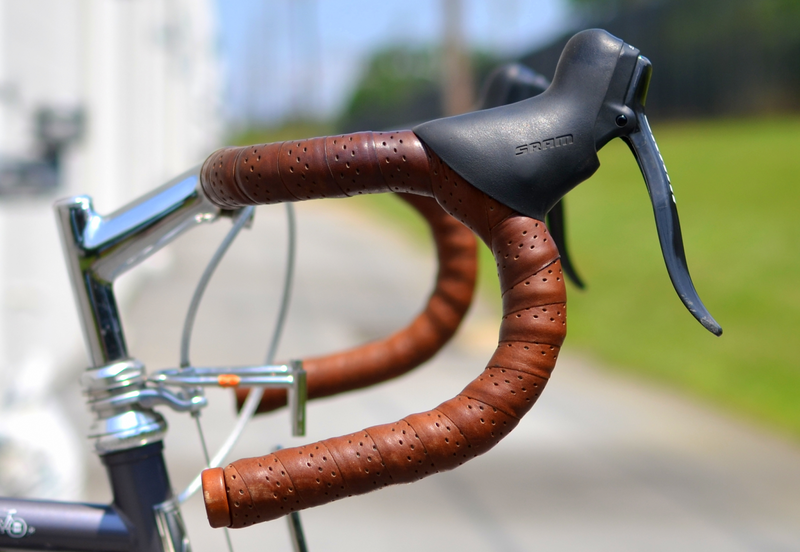 Course Handlebars. 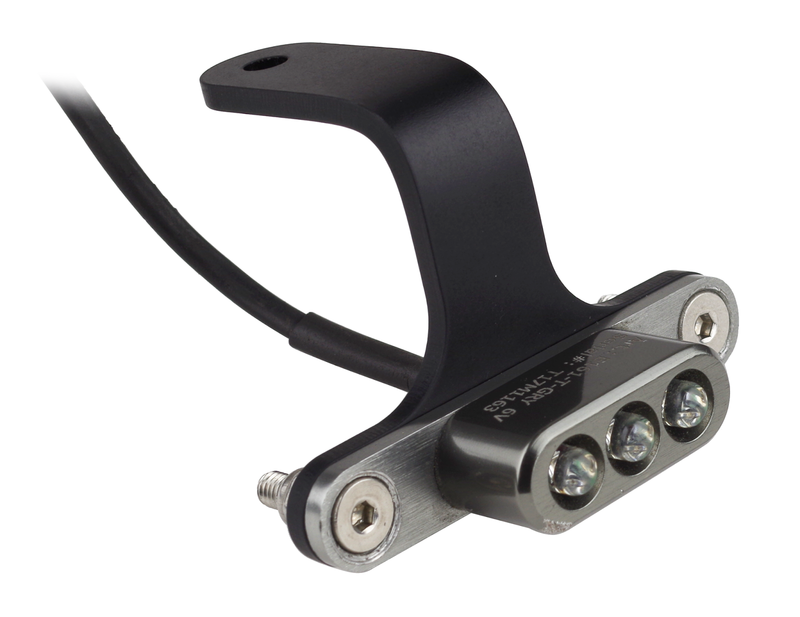 Recently, I did a post discussing our drop handlebar selection and the Course really is my favorite. 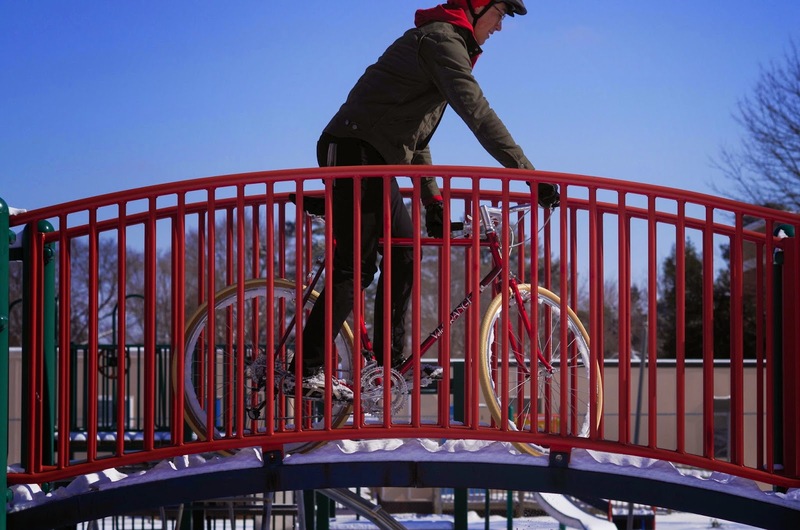 Flat ramps for all day comfort, simple bends, and classic style. Sabot pedals. These have totally changed my riding, especially touring. They have large real estate for moving around, sealed cartridge bearings, simple, and elegant. 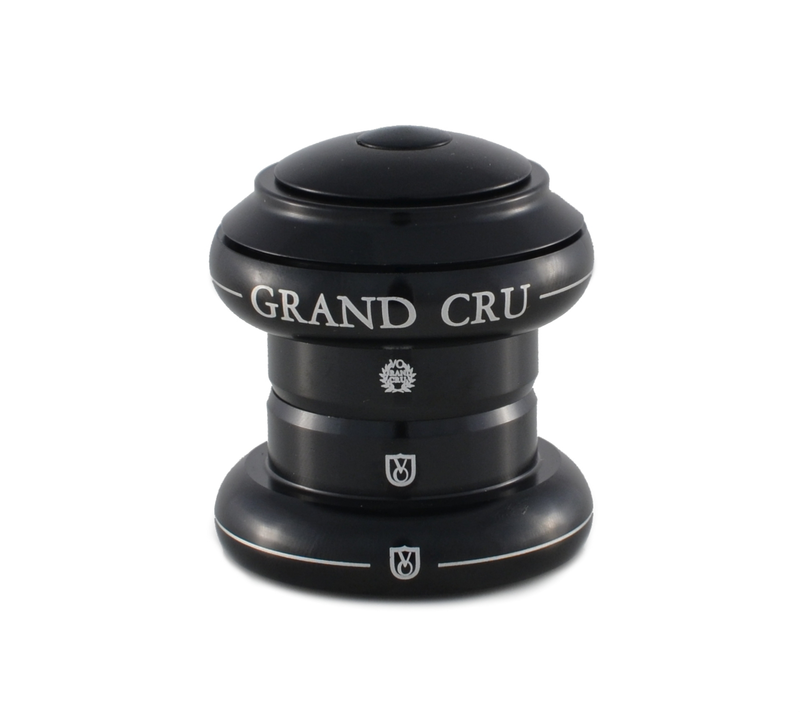 I'm going to cheat a little bit on this one; it'll be a line of products instead of one item: Grand Cru Headsets. This line features sealed cartridge bearings, classic styling, simplicity, and affordability. A crazy good value for something that will last years and years of hard riding. 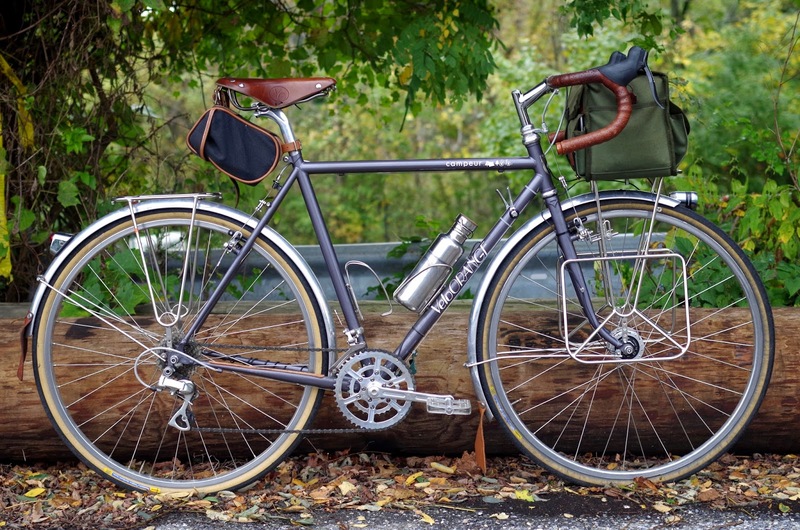 Grand Cru Handlebar Bag. Big enough that I can fit everything I want to bring for touring and commuting, but not so big that I also need a smaller bag for regular rides. Also, my camera bag fits inside of it perfectly (Lowepro Rezo 170 AW). 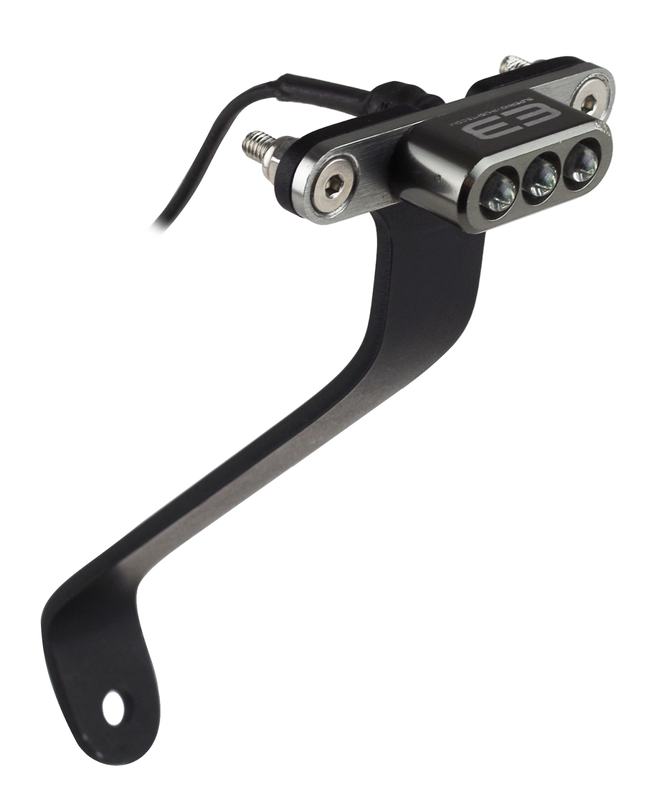 These are simply really nice CNC machined brake levers. They are very light, smooth, comfortable, well made, and just plain pretty. 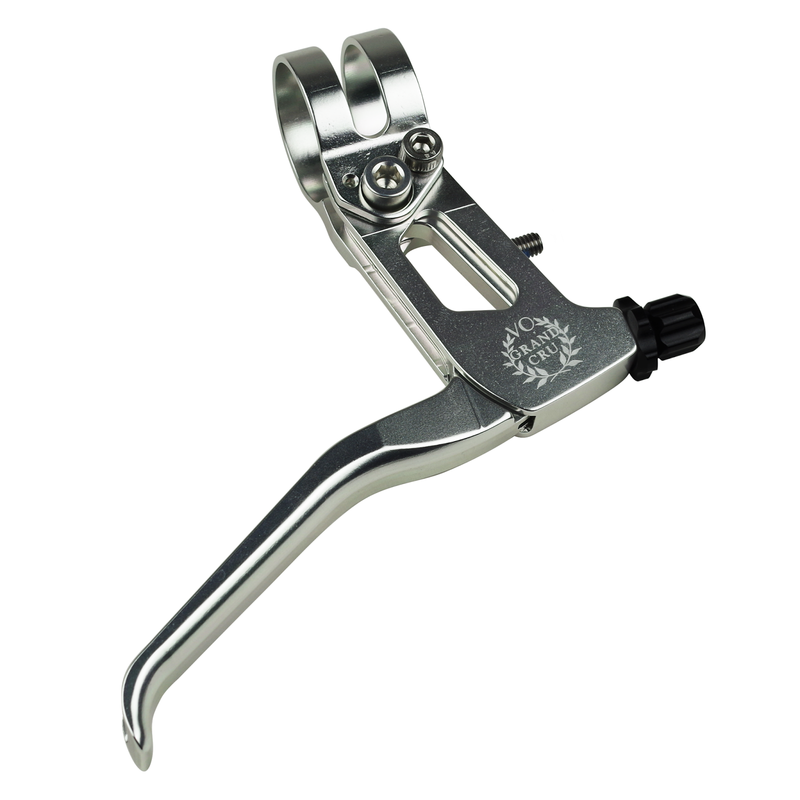 I don't know if anyone actually needs brake levers this nice. All I can say is that as soon as I saw them I wanted them on my bike. They come in silver and in black. 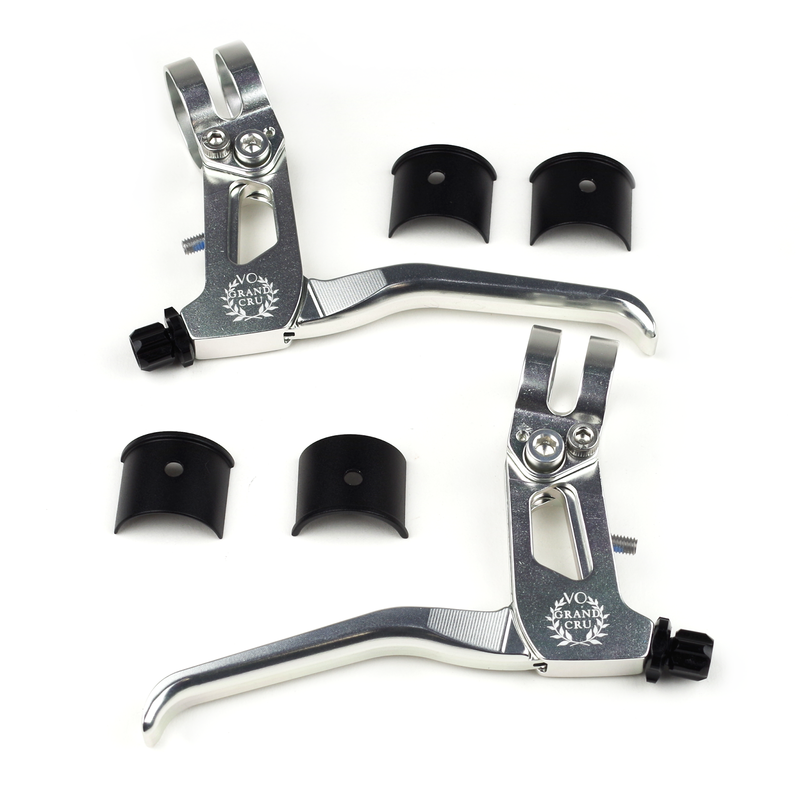 There are shims included so you can mount them on road or MTB/city-sized handlebars. 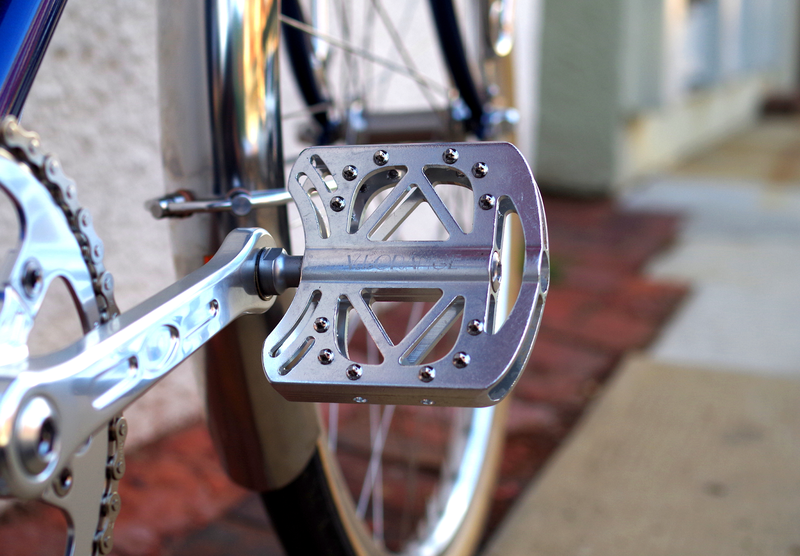 You can get them in a linear pull version for V-brakes and MTB disc brakes, or in regular pull for canti brakes, caliper brakes, or road discs. So there are four versions: silver linear pull, black linear pull, silver regular pull, and black regular pull. Weight is about 76gm per pair; careful not to let them blow away. Also, I wanted to answer a few questions about the new frames. They will be blue. They will not have bottle cage bosses on the seat stays; we found that no one here liked them because of potential heel strike. We're hoping to have them in stock sometime in May, but don't hold us to that because there are always delays. Speaking of questions: please send us an e-mail if you have one and we'll be happy to answer promptly. No one here regularly checks Twitter or Facebook for questions. Our delayed second January delivery should arrive in one to two weeks and most of the remaining out of stock items will be here then.